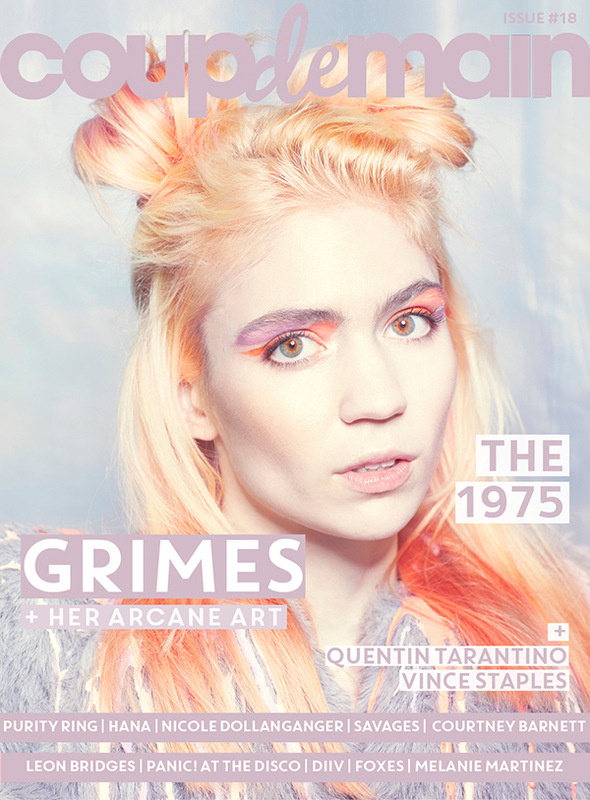 latest interview: Interview: Grimes on 'Art Angels', touring, and her arcane art. Music Grimes announces next studio album, ‘Miss_Anthropocene’. Music Grimes releases new demo ‘Pretty Dark’ into the world. Music Watch: Grimes & Hana perform 'We Appreciate Power' live on The Tonight Show. Music Listen: Grimes & Hana - 'We Appreciate Power'. Music Grimes shares working tracklist for LP5. Music Must-watch: Janelle Monáe feat. Grimes - 'PYNK' music video. Music Grimes feat. Janelle Monáe - 'Venus Fly' music video. Music Must-watch: Grimes x Hana - 'The AC!D Reign Chronicles'. Music Grimes x 'Asos' magazine, Autumn 2016. Music Grimes - ‘California’ music video. Music Watch: Grimes perform 'Flesh Without Blood' live on The Tonight Show. Music Listen: Grimes performing 'Flesh Without Blood', 'REALiTi' and 'Ave Maria' for BBC Radio 1. Music Watch: Janelle Monáe perform 'Venus Fly' with Grimes at Coachella 2016. Music Interview: Grimes on 'Art Angels', touring, and her arcane art. Music Interview: Nicole Dollanganger on her album, 'Natural Born Losers'. Music Must-watch: Grimes - 'Kill V Maim' music video. Music Must-watch: Grimes - 'Flesh Without Blood' / 'Life In The Vivid Dream' music video. Music Cara Delevingne, Haim, Grimes, The Weeknd + more for Alexander Wang x ‘Do Something’. Music HAIM feat. A$AP Ferg - 'My Song 5' music video with cameos from Ezra Koenig, Grimes & Kesha. Music Haim preview their 'My Song 5’ music video.